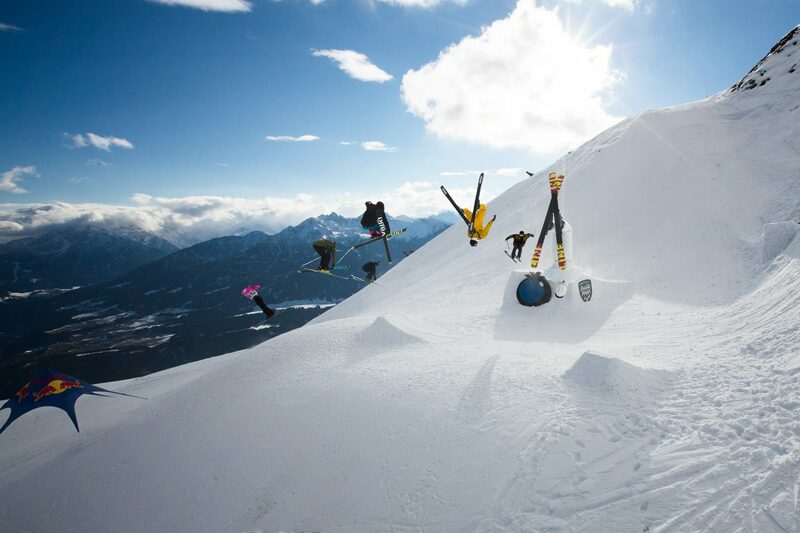 International riders gathered at the world famous Nordkette Skyline Park to battle out the day. 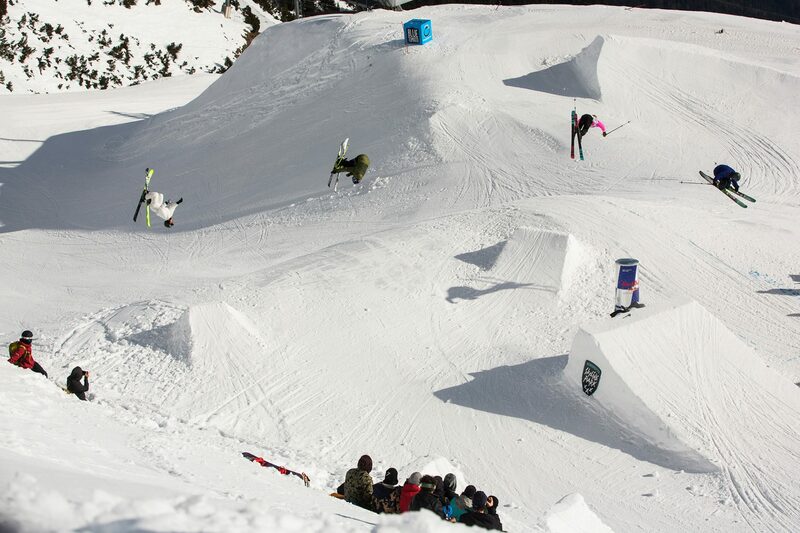 The park had seen customisations hand built by the LOS gang from side hits, backcountry hips and backflip specific whips. 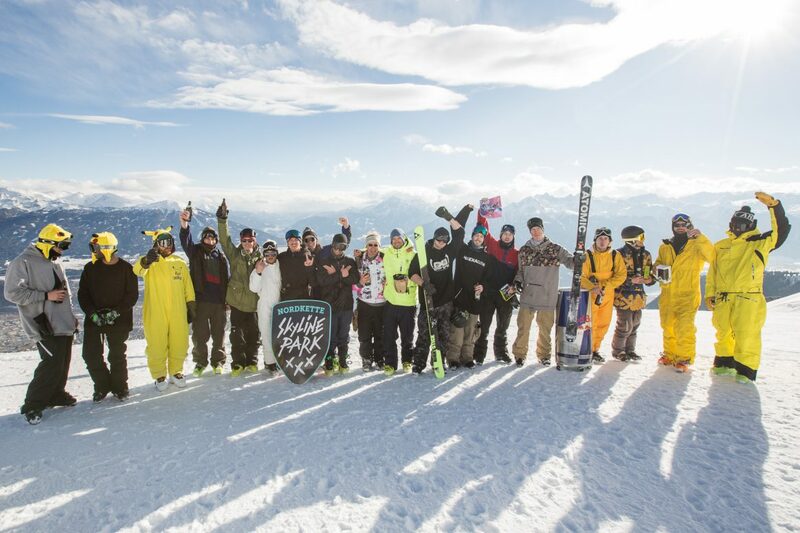 One victorious team was here to take home the prestigious prize of attending Red Bull Playstreets as VIPs later this month and one lucky member to receive a wildcard to compete at the unique street slopestyle. The teams accumulated points in 5 categories. First up “Spin to Win”. From 540’s to 1260’s this was loose. Things started out stylish with a cork 9 comp straight out of 2004, but soon things started to heat up after Oscar Scherlin sent a sketchy switch 1260 no grab just past the knuckle. Soon after, heavy hitter Dennis Ranalter of team “Eggs Of Steel” risked all on a switch misty 1080 but failed to put it his feet under the pressure of landing his team some degrees in the total tally. Drama hit at the end of the first round with a tie. 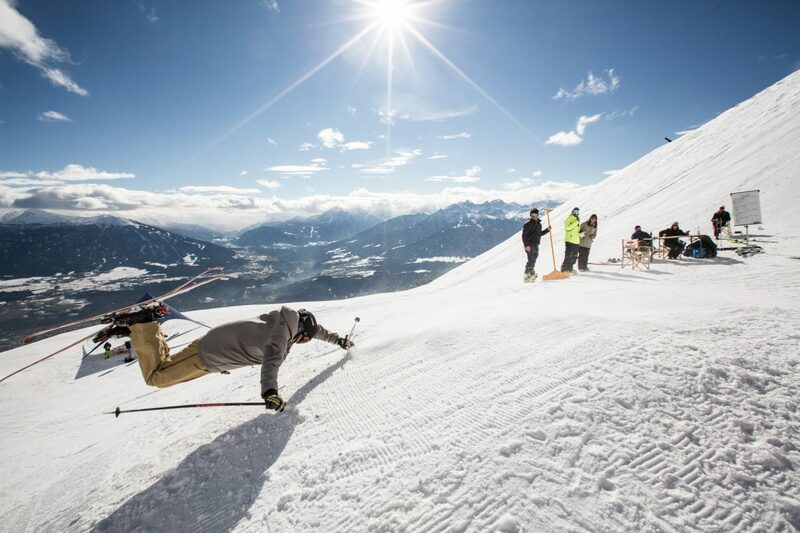 This forced team captains Ole Pavel and Johannes Rohrmoser to go head to head for the biggest spin, Ole risked all with a future spin 1080 only to be high sided by his rotation and hitting the deck letting team “Full Send” steal the points for 1st place. – Winning team “Full Send” total rotations 10. 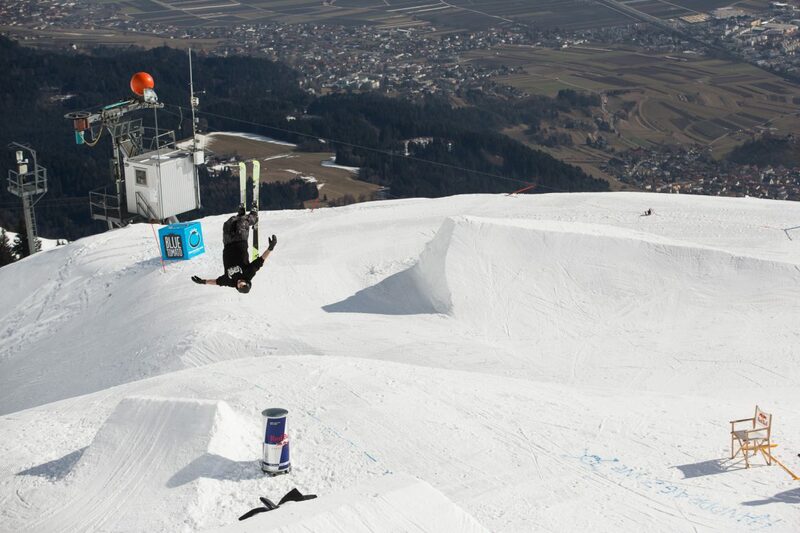 The second category was the backflip insanity run. Doubles counting double points and when flips are only counted if landed and backslaps defined as stomped, it was anyones game. There were inverts from every jump and some questionable speed pushes to even make some take offs. Over rotations and under rotations these were undoubtably the sketchiest runs of the day. 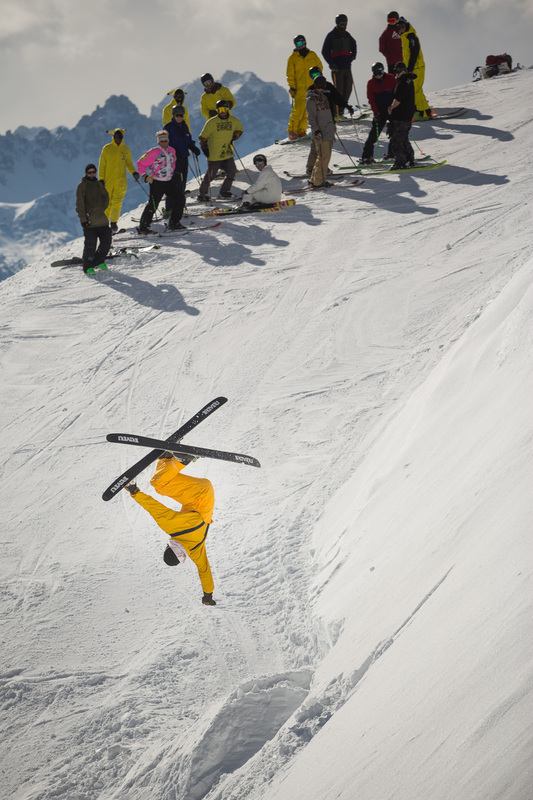 Lucas Mangold probably landed the smallest flip I’ve ever seen scraping the snow from the knuckle with his tip to get it round. – Winning team “Sieg oder Akia” total 15 backflips. Next up was the longest hand drag contest. With each team members hand drag accumulating the total length of the team’s final measurement. 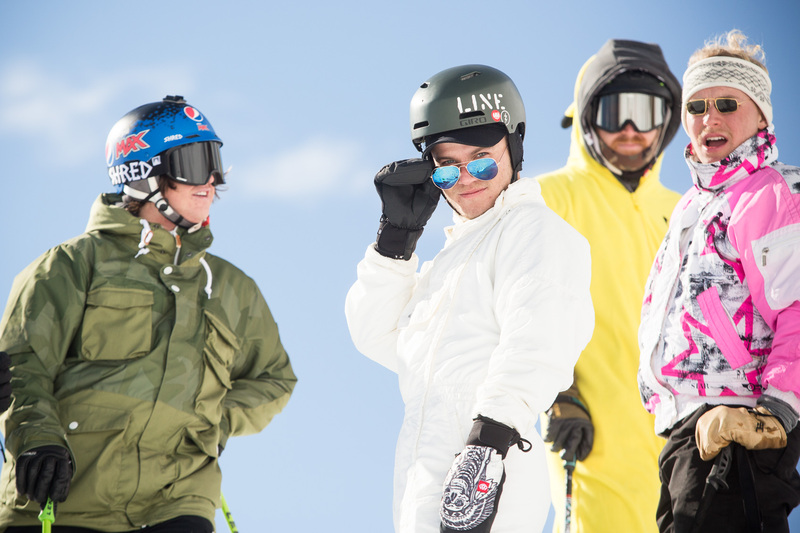 Every millimetre counted as the skiers hurled themselves over the knuckle to defy gravity. 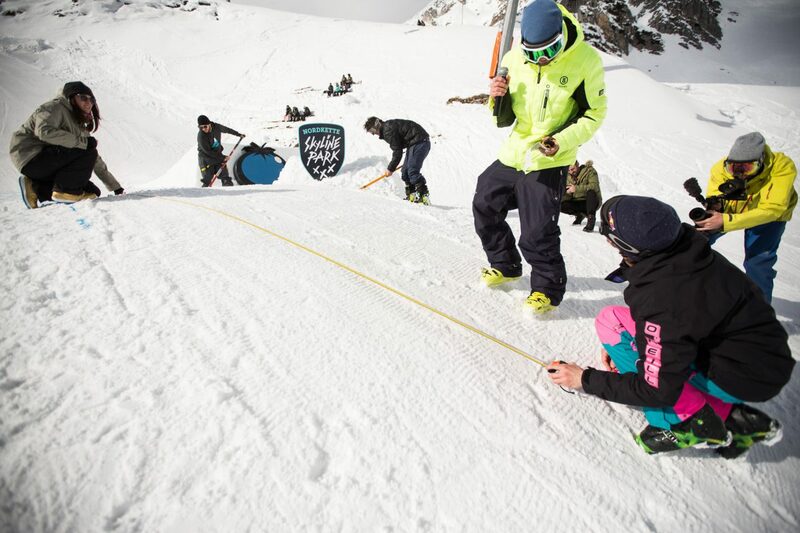 The rake team was in place to make the course fresh after each competitor, so it was easy for the judges to take measurements. Hand drags up to 8m long were logged and with the teams just centimetres apart, the final measurement remained in tabulation until the final result. The final round of competition was a crowd favourite, a Legs Of Steel tradition, the train. 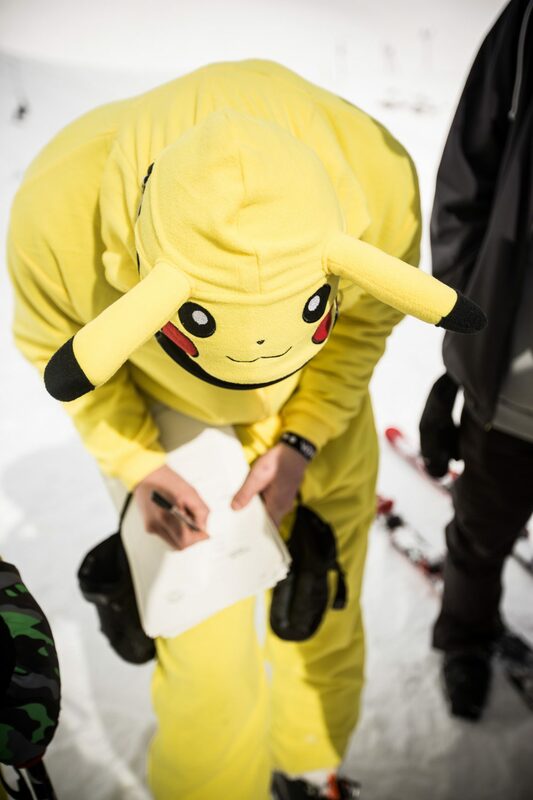 The teams had 3 runs to impress LOS judges Tobi Reindl, Paddy Graham and Sven Kueenle for scores out of 100. Judged on creativity, crowd reaction, trick difficulty and risk, teams were out to impress. 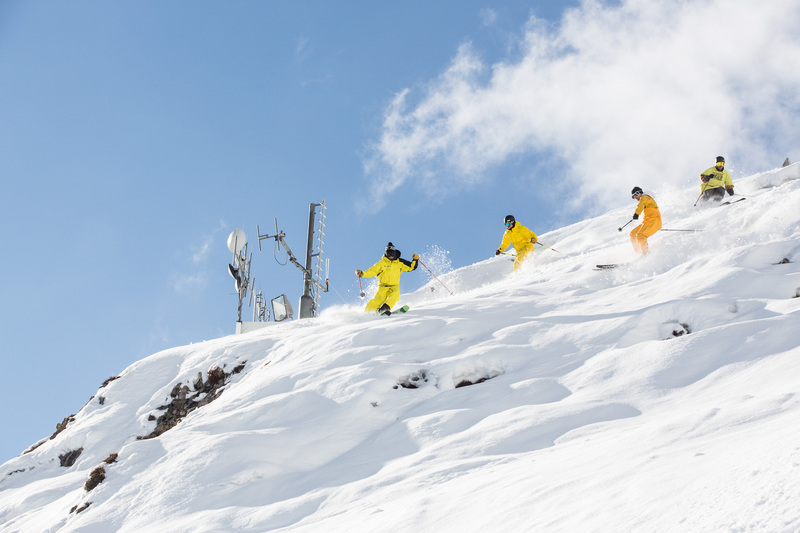 Every run team mates risked their runs with huge tricks and risked their lives with sketchy cross overs to get closer and closer to each other. The technicality of “Full Send” and the swashbuckling antics of “Eggs Of Steel” were second to non of the “Sieg oder Akia” team performance with the 2 LOS veterans (Oscar & Lucas) previous experiences. 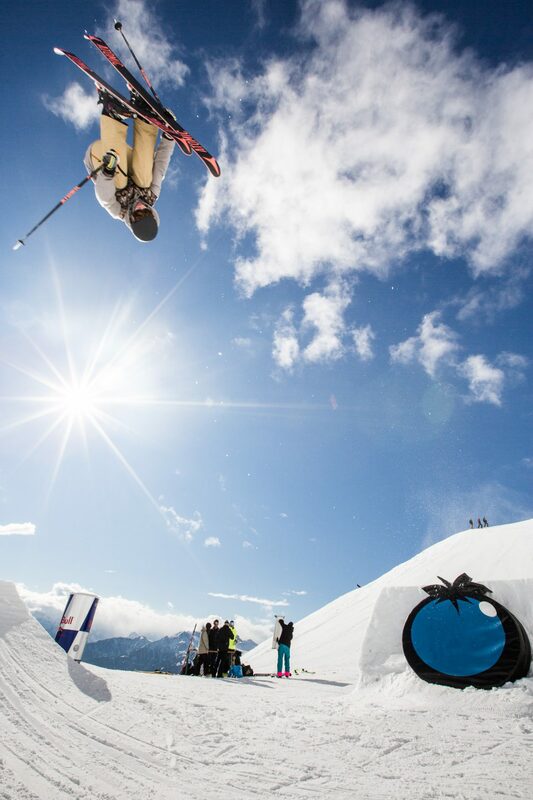 But it was team “Bangin’ Bananas” who came out on top, with a pillow line entrance to the park and the closest train of the day, Vinz Wörle tapped Basti Färber’s helmet over the jump to claim the highest score. – Winning team “Bangin’ Bananas” LOS Train 98/100. A bonus round concluded the event, with no points rewarded on performance but disqualification if team’s did not participate, the drinking relay. 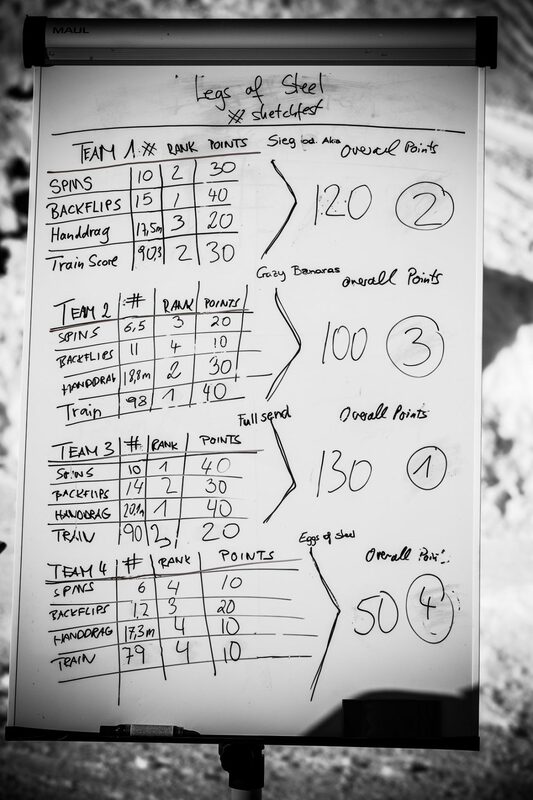 Teams descended the jump’s landing on chest, back or side and were challenged to consume a cold beer as fast as possible. “Bangin’ Bananas” relay began and finished before “Full Send” had even finished their first beverage thus concluding the first edition of Sketchfest.